Your final stop will be to see the Black & Red Pyramids. The Black Pyramid of pharaoh Amenemhat III who ruled from 1855 to 1808 BC. This pyramid is only one of three remaining of the original eleven that were constructed at Dashur. 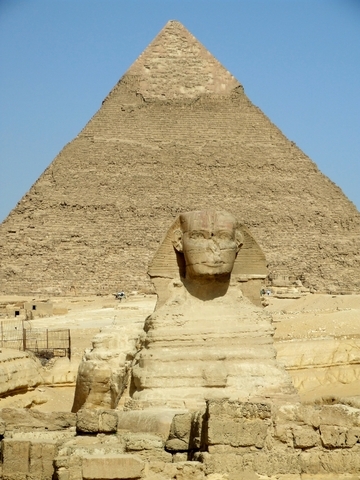 The Black Pyramid has collapsed on the exterior due to the elevation being close to sea level. The interior passages ways and rooms are still intact. Remember to bring your camera. Beverages are not included in the restaurants. Not included in your tour: tips and entrance to the solar boat museum and mummy room. The drive to Cairo is approximately three hours each way.